Please refer to our stock # TR1016 when inquiring. 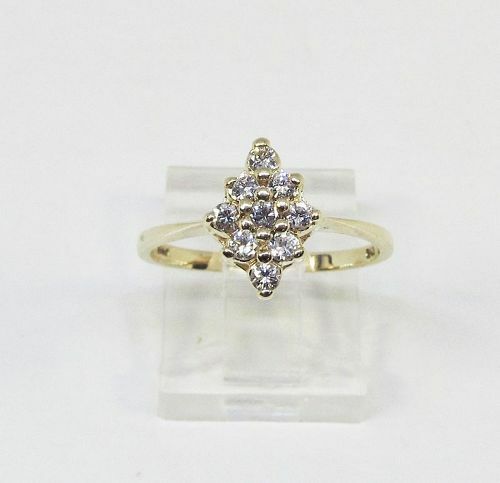 Nine full cut diamonds set in this 14Kt yellow gold cluster ring from the 1960-s. The nine diamonds with the approximate total weight of 0.30Ct are arranged in a diamond shape design. The ring is a size 6 ¾ and can easily be sized, the top measures 11 X 8 millimeters.